Paul Consentino mentioned that the club has an ongoing effort to provide funds to Sacred Heart Community Services for the good work they do in our community. A number of Almaden Valley Rotarians are currently donating approximately $600 per month in private funds to Sacred Heart. If anyone is interested in joining this venture, contact Paul. 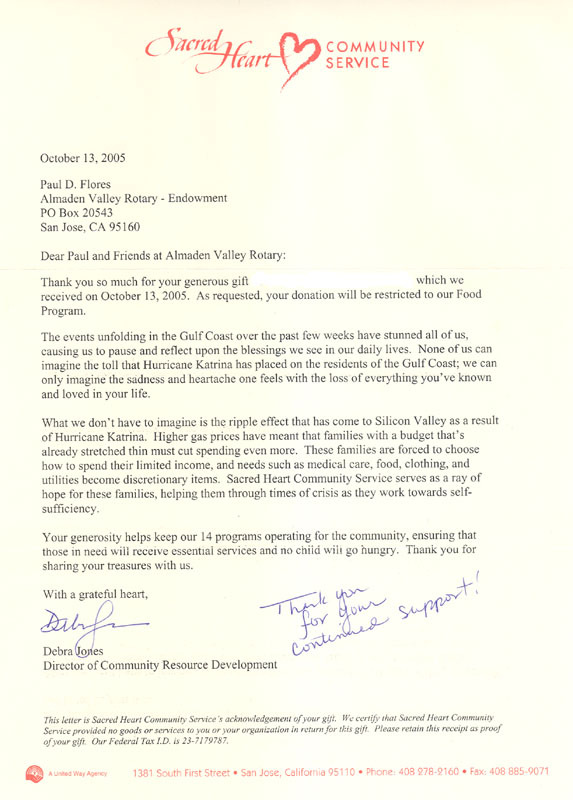 This is a letter thanking the Almaden Valley Rotary for their contributions.